Dermastir Luxury Day Cream SPF30+ is an intensive nourishing cream with sun protection factor that prevents the formation of wrinkles. Caviar is a very luxurious anti-aging ingredient which oxidizes very easily and therefore needs to be packaged in an airless container.This cream is suitable for all types of skin and for all ages, it has a protective action with ingredients that restore a healthy level of hydration. 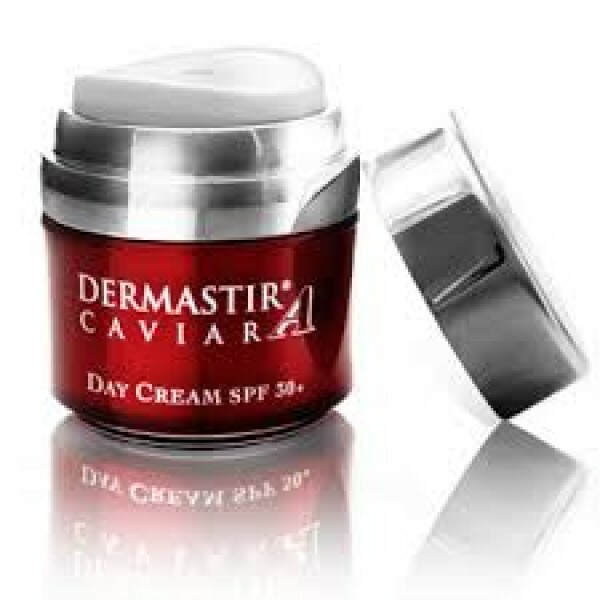 Dermastir Cavier Day Cream SPF30+ contains cavier,phyto-extracts,vitamins,anti-oxidants and amino acids with a regenerating action.This cream is also available in a tinted version.